It's crazy to think about how many people haven't even been out of their state, much less seen the rest of the United States. I was blessed as a child to grow up going on lots of vacations to places like Washington DC, DisneyWorld, and the ocean, but I know that's not always the norm. I love the opportunity that travel brings to explore and to realize that there is so much out there that is different than all I've known. 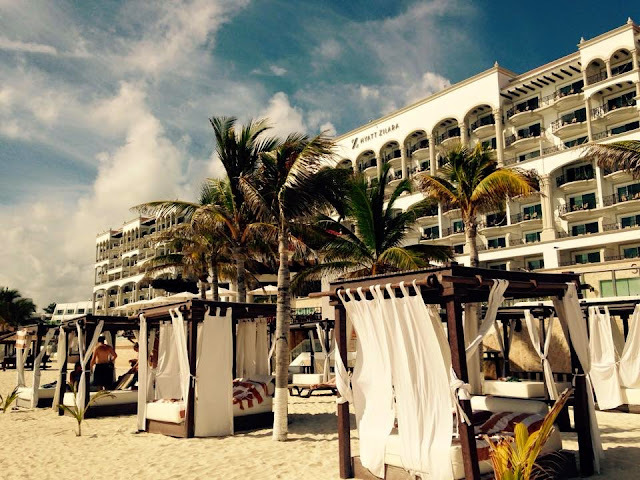 I hadn't been out of the country until our Honeymoon to Cancun, and now I have a major travel bug with lots of foreign countries still on my list. Excited to knock Greece off the list this summer! I love my job, my home, and the vast majority of my life right now...but let's be real: everyone needs a little escape sometimes. Traveling is the perfect way to put down the papers, turn off the computer, and simply take some time to unwind, read a book, lay by a beach, or just step away from the reality of everyday life. I mean seriously, how beautiful is this place where we rung in 2015? While I definitely do my share of planning before our trips, there is something so fun about the spontaneity and adventure that trips bring. Some of my very favorite travel moments have been ones that weren't planned, or necessary even desired- but they quickly become wonderful memories full of laughter and fun. From hacking into Hulu to watch the Bachelorette finale overseas, to finding a DSLR camera on the side of the road during a bathroom pitstop, our vacations have never been boring! I've said it before and I'll say it again: I would rather have a lifetime full of travel memories and seeing the world than a big house full of lots of stuff. I would much rather spend money on travel than pretty much anything else, and I truly treasure all of the memories that we've had thus far. To us, travel is something worth budgeting for and investing in....with a lot of travel points thrown in the mix to make things nice and cheap! What better way to track your travels across the nation than with a travel photo map? Here's how to make your own! One of the very first posts I wrote after returning home from Europe was this post on Five Things I Took for Granted. Traveling helps me to remember just how great things really are at home, and how blessed I am to have running free water and a car that I can hop in and drive whenever I want. Oh, and free parking and bathrooms are great too, am I right? I loved seeing the culture in all of the different countries that we visited, and I honestly feel like I'm a better, more understanding and appreciative person because of our journeys. I'm slightly obsessed with travel research and planning, especially when it comes to doing so with points and a limited budget. If you'd like some help or travel advice, let me know. I'd love to help! LOVE!!! I am a travel lover too. The memories - the last forever and those life experiences are priceless! Thank you for sharing all the reasons you love travel! I used to do a lot more of it, but since kids, we don't get to as much as I'd like. I'm going to check out your links since we are going on a road trip soon. Thanks! That travel photo map is adorable!!!! My goal is to visit all 50 states (I'm up to 38!!) and all 7 continents (with the exception of Antarctica...) and that would be the best way to track it! I LOVE traveling and I do it often. I love all of the things you love about traveling - and what a creative idea with the map! That's super cute! I wasn't the biggest lover of travel until I met my husband - now any extra money we have goes to it. We're looking into getting a camper or trailer for road trips and what not (out favorite) since as kids we both had family vacations in the form of camping trips as kids. I definitely want to travel a lot more! I wish I had more vacation time! AHH! Kelsie, you're making me want to get up and GO (really, I'd settle for leaving the house). My last fun trip was to Chicago last summer, and I have to agree that the spontaneity, and experiencing other cultures- even if it's only a thousand miles from home- is the best. this is such a happy post! I adore traveling with my husband too. we're preparing for him to start a new job that will have us moving around the country every few weeks living out of hotels for the next two years and I'm so excited! International travel is on our list, though. Thank you for sharing and happy travels! I love your US map!! What a fabulous idea! I absolutely love traveling! I wish I could do it more often. My family tries to go on a big vacation once a year, but with the babies it's been a bit hard to travel. These places you have been to look amazing and I will need to add them to my list of places to go! I totally agree with the sense of adventure. Whenever I'm traveling, I always feel like "hey, I'm on vacation I should try it" and I momentarily forget about my responsibilities at home!! I always do miss comforts from home, and totally agree with you on the appreciation you feel for the stuff you have! The element of adventure and getting outside of my comfort zone, remembering that God is in control and that He will orchestrate all of it for my good is one of the best parts of traveling... It's scary, but it always turns out to be so good. My husband and I love traveling and it's hard for me to understand people who don't travel or who only travel to one place every year! The world is so beautiful I can't imagine not seeing it. I love love love traveling! there are so many new things to see around the world and so many new cultures! I love traveling! I don't so much like the actual act of traveling (planes, trains, and automobiles, and basically any public form of transportation, I'm a little OCD) but I love seeing new places and making memories! I love travelling and I siting new places! It is my goal to visit two new places per year (one stateside and new international). We have a rewards card that will let us fly to Europe virtually free next year! It sounds like we share a lot of the same loves about traveling. These are spot on for me. I also love all the knowledge I gain from immersing myself in other cultures. I love all of these too! The getaways are often much-needed and I love the chance to see new parts of the world. I love getting to meet new people and experience new cultures, languages, food, etc too. So many good things about traveling and I hope we continue to do it even once we have little ones tagging along with us! I love traveling! I like the tips. I will try them for my next trip to Las Vegas. 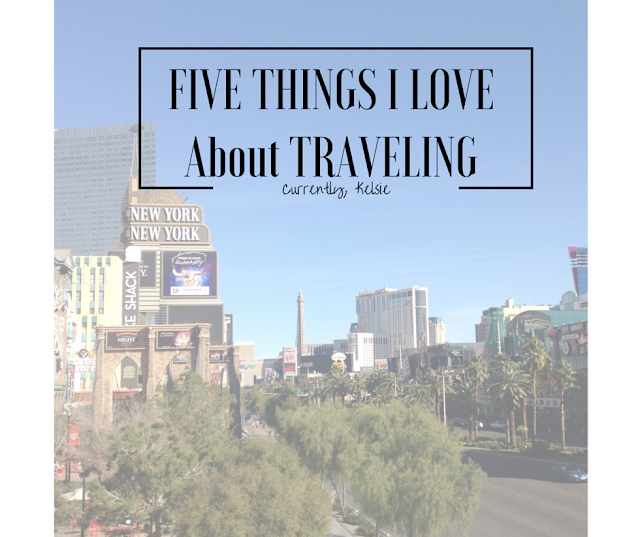 Thanks to these 5 things, I also love to travel. At what as far as possible and exotic. Nice blog, Great things you told. Trips to Disneyland will make your vacation more fun and enjoyable. I love travelling! I like the tips. 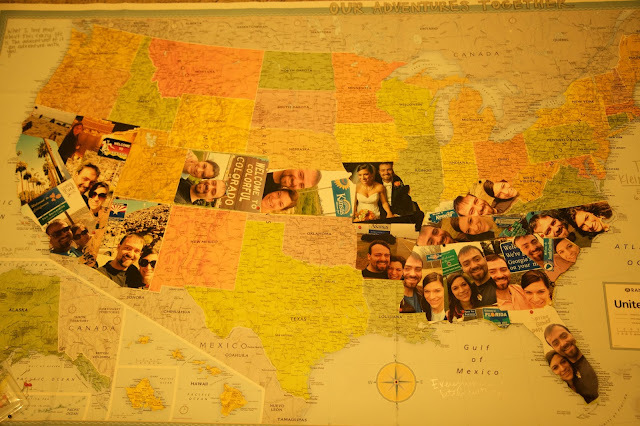 I love all of the things you love about traveling - and what a creative idea with the map! That's super cute!. Immigration Lawyer London.